Should you avoid the HS17 Genie 2? A tech told me to avoid the Genie 2 at all costs. Said there were nothing but problems with it. I don’t know why someone would say something like that on Facebook. I’m glad he didn’t give the tech’s name because that person probably would have gotten in trouble. But, it’s worth talking about. What’s so different about the Genie 2? Genie 2 is really a different beast, even compared to other Genies. Why? It’s a pure “server.” While AT&T always wanted you to think of your HR34, HR44, or HR54 as a server, the truth is most people thought of it as a super DVR that could also use client boxes. Genie 2 doesn’t have a video output. It’s designed to sit quietly out of the way while the client boxes handle all the work. Genie 2 does the work of a DVR, a server, a wireless video bridge, a power inserter and a Wi-Fi adapter, but it doesn’t show live TV. No, it’s not. Some folks have said that the speed of the clients isn’t as high as the speed of the HR54. I have to say, that doesn’t really hold true all the time. The client boxes are very dependent on the length of the cable or the strength of the wireless signal. If you put a client right next to the HS17 Genie 2 it performs incredibly fast, actually. This is especially true with the C61K 4K Genie client. While I once told people not to get a 4K client unless they needed one, I’ve reversed that recommendation with Genie 2. The nag messages about not having a 4K TV have been toned down and it really seems to benefit from a speed bump with the Genie 2. Is the Genie 2 less reliable? 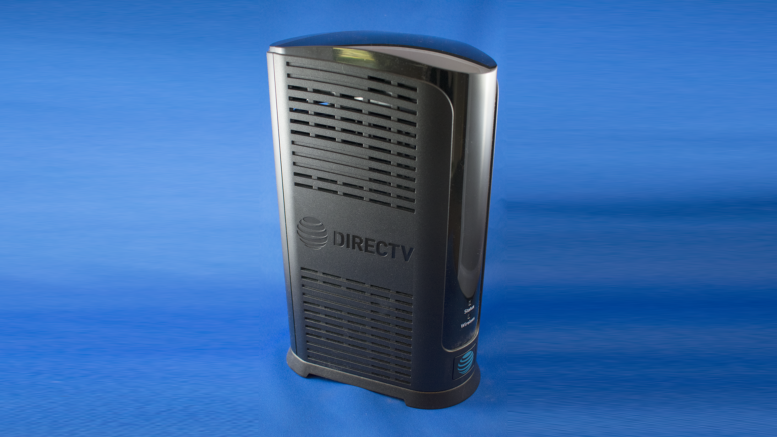 I have been using DIRECTV DVRs now for about 15 years. I’ve had good ones and bad ones, and honestly I’ve had about twelve of them. Not because they failed but because I kept upgrading. I’ve had my favorites over the years, but in terms of reliability I have to say every DVR I’ve had my hands on since about 2010 has been rock solid out of the box. This includes the Genie 2 which, as I write this, is sitting to the right of me performing flawlessly. Why would a tech complain about the Genie 2? I think a lot of the complaints about Genie 2 come from the install process. It’s actually easier to install a Genie 2 than it is to install any other 7-room-capable system, but you have to know how to do it. You need to know how to install and align the 4K dish. It helps to have access to the app that AT&T-certified techs use for installation. Overall the process is different. If you’re not up on the latest DIRECTV technology it’s going to be a little harder. I’m pretty sure that the techs who don’t like the Genie 2 are saying so because they’re not comfortable with it. Personally I think it’s a great box and I hope you’ll consider getting one from Solid Signal. How can these all be antennas?